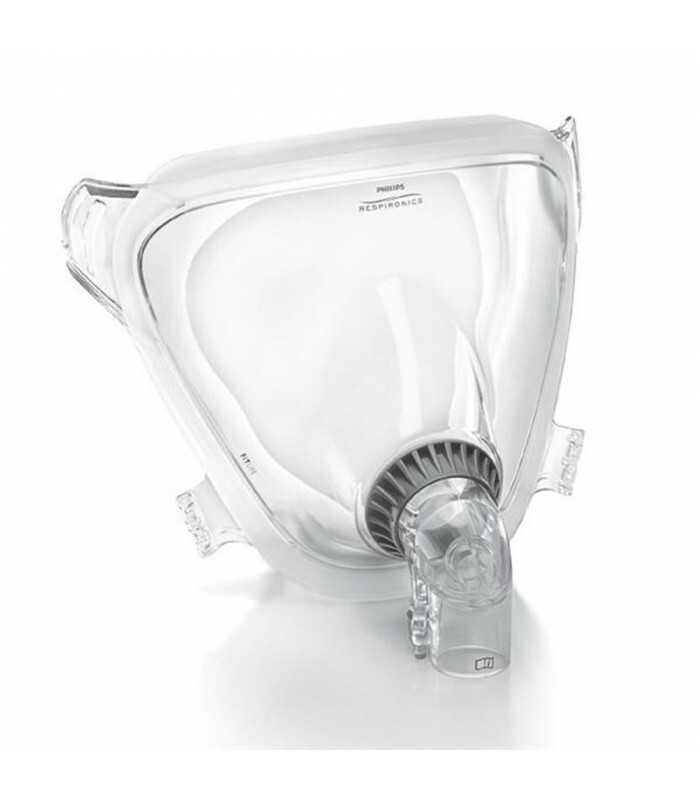 Total face mask (full face) Philips Respironics FitLife with Headgear. This mask is designed for patients who can not tolerate any other type of mask. The structure able to cover the entire face (the eyes) is made to minimize the effects that the air pressure can have on sensitive skin, such as decubitus ulcers. In addition, the cushion contact with the skin is minimal, as it rests solely on the face. The cushion is modelled in silicone. Available in the following sizes: S and L.
The mask also exists in XL size, but you need to contact us for availability. The FitLife is an alternative to conventional nasal or facial masks. The seal surrounds the whole contour of the face. This decreases the pressure on the cheeks and nose, which allows the cushion of soft silicone to adapt quickly and evenly for maximum comfort. The system air pressure inflates the soft and flexible sealant layer, which minimizes losses while providing optimal airflow through the nasal channels. The cushion is shaped specifically to provide a perfect seal for the pressure, to provide air circulation throughout the mask and to allow the most natural and comfortable breathing. The mask contains clips snap easy to use that do not require further adjustments during removal or installation. The headgear FitLife is designed to support and stabilize the mask. The headgear color varies from black to light gray to dull blue. The back of the headgear may have or lack openings. For the manufacturer, these variations do not affect product performance. The small size mask is packaged together with the small size headgear. 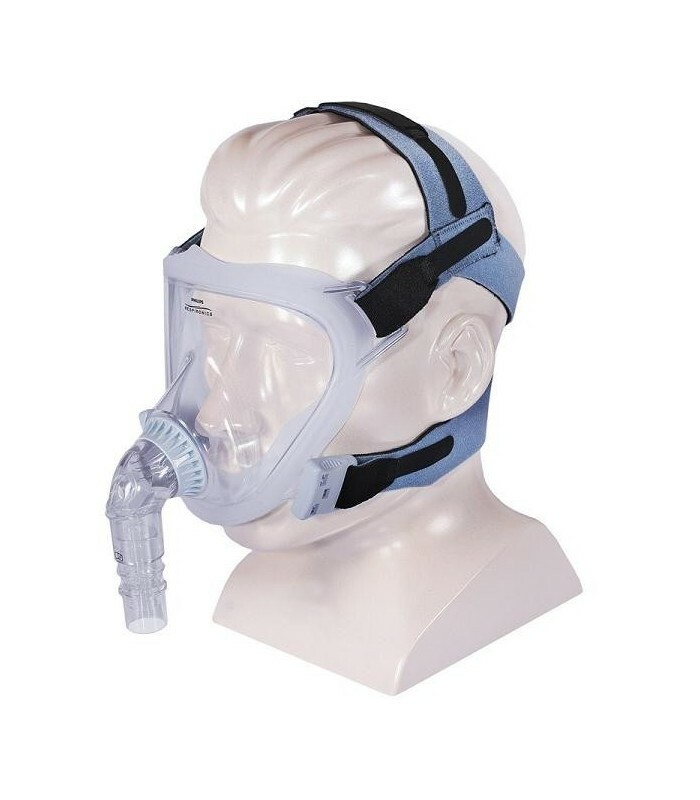 The large size mask is packaged together with the large size headgear. 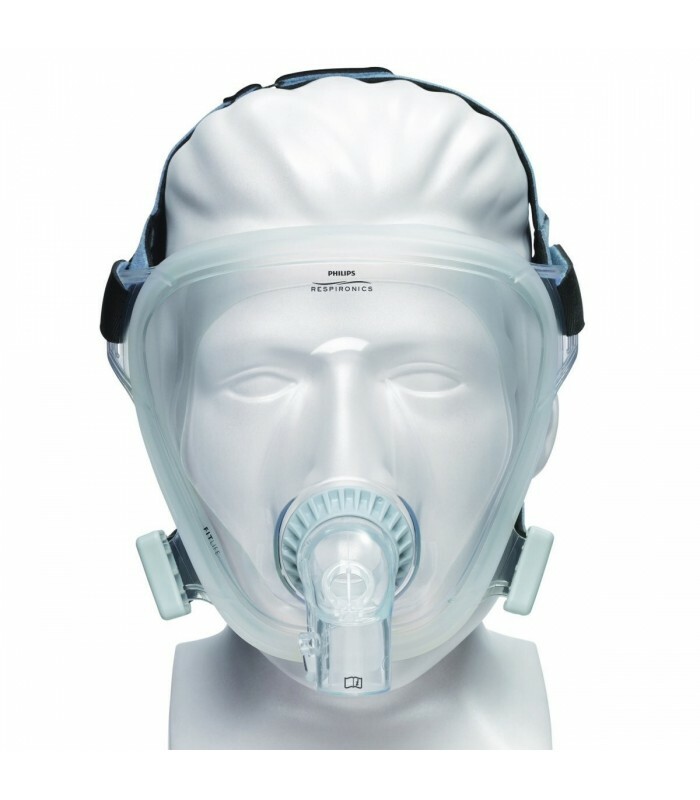 The extra lage size mask is packaged together with the extra large headgear. * The empty space may vary depending on the patient's facial features.